With a life- long experience of crippling anxiety and poor outcomes with a number of treatments, Black discovered the cause – in her case it was a genetic mutation of the MTHFR gene. Ongoing research implicates MTHFR genetic mutations for not only mood disorders such as anxiety and depression but also in cases of multiple miscarriages, fibromyalgia, strokes,cardiovascular disease, diabetes, migraine, ADHD, Alzheimers Disease and even autism. MTHFR – Easier to Say than Methylenetetrahydrofolate reductase! 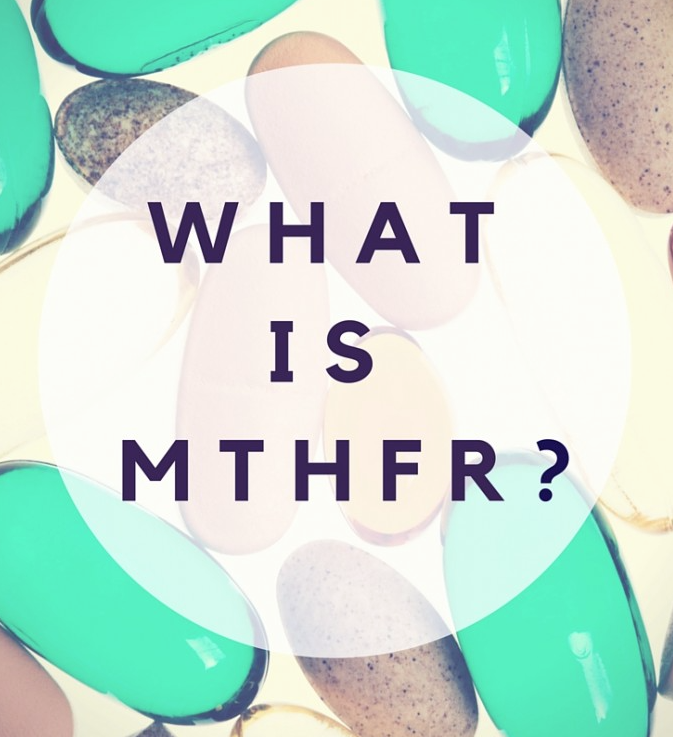 The MTHFR gene, technically referred to as Methylenetetrahydrofolate reductase, is a key enzyme required to metabolise homocysteine. Mutations of the MTHFR gene may cause elevated (and toxic) blood levels of homocysteine. Read below for more information on this important chemical. We are all born with 2 MTHFR genes, one inherited from each parent. Some people have a genetic mutation in one or both of their MTHFR genes. People with mutations in one MTHFR gene are called “heterozygous” (one copy of the gene from one parent plus a normal one from the other parent) for the MTHFR mutation; if mutations are present in both genes (a copy of the mutant gene from both parents), the person is said to be “homozygous” for the mutation. The most common mutation in the MTHFR gene is called C677T. Individuals with two copies of this mutation, occurs in 5-10% of the population and these individuals are predisposed to developing high blood levels of homocysteine, particularly when their diets are low in folate. Homocysteine is a very important chemical found in the methylation metabolic cycle. This metabolic cycle is reliant on B-vitamins which is why a low B vitamin status is usually concurrent with poor regulation of mood. When the MTHFR gene is properly working folate (vitamin B9) is synthesised into folinic acid (activated vitamin B9) that can than assist with turning homocysteine into the non-toxic amino acid methionine. Methionine is essential for cell growth and DNA metabolism. Supplementing with folinic acid can bypass this step. The distinction between folinic acid and the common dietary vitamin B9 or folic acid, is an important one. Variations in the MTHFR gene means folic acid is unable to be converted into folinic acid which is the form the body can use. Vitamin B9 is an important building block in the processes that produce key brain chemicals like serotonin and dopamine – implicated in depression. Folinic acid is far from a cure-all, people with a double mutation may need to take vitamin B12 in combination with folinic acid for a more noticeable effect as there may be other pathway disorders that need to be addressed. Read the article Folic Acid or Folinic Acid – Which is Best? for information on the differences between the two forms of vitamin B9. Adequate amounts of serotonin are necessary for a stable mood and to balance any excessive excitatory (stimulating) neurotransmitter firing in the brain. Dopamine is a special neurotransmitter because it is considered to be both excitatory and inhibitory. Dopamine helps with depression as well as focus. Dopamine is our main focus neurotransmitter. When dopamine is either elevated or low – we can have focus issues Dopamine is also responsible for our motivation. Noradrenaline (Norepinephrine in the USA) is responsible for stimulatory processes in the body. This neurotransmitter can cause anxiety at elevated excretion levels as well as some mood lowering effects. Click here to see how easy it is to test for your neurotransmitter status with Emed’s Neurotransmitter Profile. “Problems with folate metabolism have been associated with depression and/or anxiety. This is partly due to inadequate SAMe synthesis. SAMe is required for neurotransmitter synthesis which is important for proper nerve and brain function. So to summarise when there is a MTHFR mutation, this results in problems making the amino acid methionine, impairing the methylation cycle which raises homocysteine levels and disrupts neurotransmitter synthesis resulting in mood disorders such as anxiety. Many people who suffer from anxiety and/ or depression are over-methylated. Over-methylation (too many added methyl groups) results in excessive levels of the neurotransmitters dopamine, noradrenaline and serotonin. They are typically low in folate, niacin (vitamin B3) and vitamin B-12. Under-methylation (not enough methyl groups) is associated with low serotonin levels. These individuals have a tendency to be very low in calcium, magnesium, methionine, and vitamin B-6 with excessive levels of folic acid. It is important to highlight that many anxiety and depression sufferers will have developed their condition for many other reasons that have nothing to do with the MTHFR genetic mutation. There are those who will always do better with more traditional treatments. Read here for more information on natural ways to address anxiety. Most MTHFR patients with anxiety also have decreased B6 and zinc in the body, indicative of Pyroluria. When this deficiency is addressed and B12 and folate levels are restored, anxiety has been shown to decrease by about 80 per cent within about three weeks. Pyroluria is a genetically acquired chemical imbalance in which the body produces an abnormally large number of pyrroles. A pyrrole is a chemical consisting of a 5 membered aromatic ring. These chemicals are the byproduct of haemoglobin synthesis and have no known function in the body. Pyrroles are normally excreted in the urine. Most people have very few pyrroles in their system at any given time; certain individuals however, have an unusually high number of pyrroles in their bodies, resulting in a condition known as pyroluria. Also known as Mauve Factor (due to the mauve colour visible on testing paper during urinalysis) or pyrrole disorder, pyroluria occurs when the pyrroles bind to pyroxidine (vitamin B6) and zinc, causing these vital nutrients to be excreted from the body in large amounts. Deficiencies of B6 and zinc are associated with a wide range of emotional and psychiatric problems. Nervousness, extreme irritability, anxiety, depression, short-term memory problems and explosive anger have all been linked to pyroluria. A large percentage of patients with psychiatric disorders such as schizophrenia exhibit high levels of pyrroles. Alcoholics and emotionally disturbed children also tend to have an abnormally high pyrrole count. Click here to view Emed’s Pyroluria Testing. Emed is well placed to provide genetic testing for possible MTHFR mutations. Specialising in nutrigenetics which looks at how human genetic variation results in distinct nutritional requirements, Emed can pinpoint how nutritional changes and supplementation can modify the expression of genes by prescribing preventive health recommendations and treatment options. Should a result prove positive for one or both mutations, qualified Integrative Practitioners can prescribe Australia’s best practitioner only products to achieve better health. Contact Emed today to arrange MTHFR testing or a consultation. The initial consultation is free! Folic Acid or Folinic Acid – Which is Best?